Anyone thinking of driving from here to the moon and back could do worse than look at the stylish Peugeot 208. The facelifted Peugeot 208 1.6 BlueHDI diesel, available from June 2015 from Howards Group in the south west of England, has achieved a verified 141mpg average over a 1,337-mile drive. The long drive was organised by the French Type Approval Authority (UTAC) and involved putting a Euro 6-compliant 1.6 BlueHDI diesel model with five-speed manual gearbox through its paces, with drivers tackling three- and four-hour stretches at the Belchamp test circuit in France. 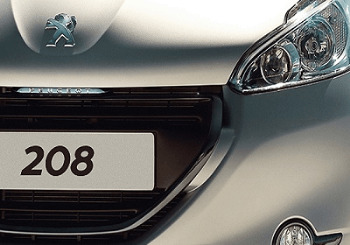 According to Peugeot, the spec of the 208 was completely standard. In a 38-hour drive, the car used 43 litres (9.45 gallons) of diesel and set a long-distance fuel-consumption record for a standard production vehicle. The 208’s performance was assisted by a new spoiler and by ultra-low rolling resistance tyres. Those concerned about the future of the planet will also love the CO2 emissions, which sit at just 79g/km. The remarkable performance is the upshot of PSA Peugeot-Citroën Group’s focus on the environment. The carmaker claims to be the Europe’s market leader for CO2 emissions right across the range, averaging 110.3 g/km. Peugeot-Citroën also claims very low particulate emissions on all models. Anyone itching to blow raspberries at filling stations as they glide by will need to be patient. The Peugeot 208 in its facelifted form doesn’t reach UK showrooms until the autumn of 2015. But the UK's most economical car should be worth waiting for. All the diesel models apart from the base 75bhp version enjoy stop/start as standard, with both that model and the 100bhp BlueHDI diesel offering 79g/km of CO2 and an official 94.1mpg – although we now know that much more is possible. A 120bhp unit comes with a six-speed manual gearbox and emissions of just 94g/km. The new figures might shake up BusinessCar's annual analysis of the UK’s top 20 manufacturers by eco credentials, in which Peugeot dropped one place this year. Although it scored full marks in six of the 10 categories, the French manufacturer fell from second to third. Peugeot’s aim is to quickly reduce all its CO2 emissions. To bring this about, the manufacturer has accelerated its introduction of three-cylinder PureTech petrol and BlueHDi Diesel engines, plus the new 1.6 litre THP engines and EAT6 automatic transmission. Peugeot says these units now make five PureTech, three 1.6-litre THP and 12 BlueHDi class-leading models. Peugeot 208 buyers in the south west of England can test drive the new frugal models at Howards Group in the autumn of this year.